New TV Spots, Featurettes and Promo Art revealed - Independence Day: Resurgence news roundup! Independence Day: Resurgence has seen its fair share of news recently. From a few new featurettes and TV spot commercials, to Jeff Goldblum's feature on the cover of The Hollywood Reporter, this article will help get you caught up on all things Independence Day! Following the two sweet featurettes is Jeff Goldblum's feature on the cover of The Hollywood Reporter! With an Alien tentacle wrapped around his neck, Goldblum looks upgraded and unafraid of the extraterrestrial invader. 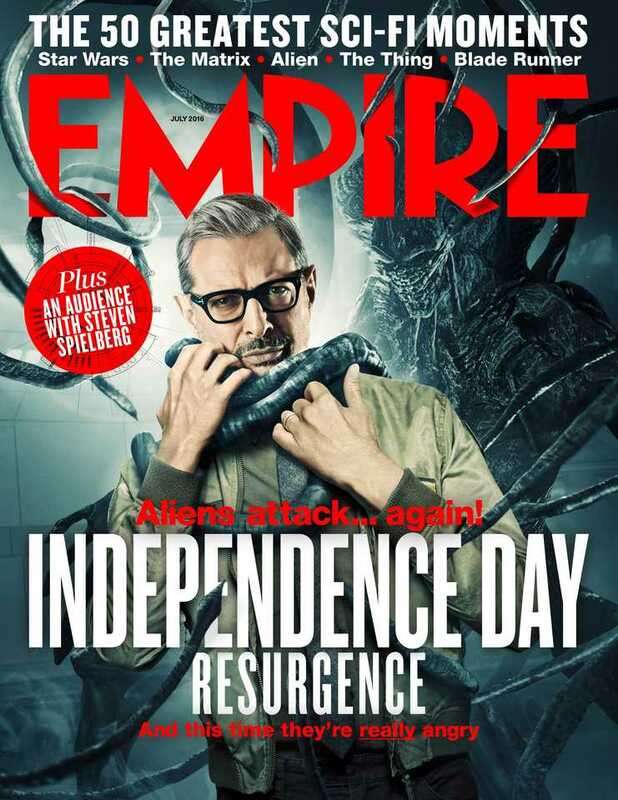 THR will be doing a complete feature on Independence Day: Resurgence, so we encourage you to order yourself a copy of their latest issue! A new TV spot was also released for Resurgence but did not include any new footage. Never the less, you can watch it below! For more news on Independence Day: Resurgence, keep it locked to Scified! 0 Fan responses to New TV Spots, Featurettes and Promo Art revealed - Independence Day: Resurgence news roundup!